Nowadays there are too many coconut oil extraction machinery manufacturers and suppliers on the globle market, but where to buy quality coconut oil extraction machinery with competitive price, which company is trustable? 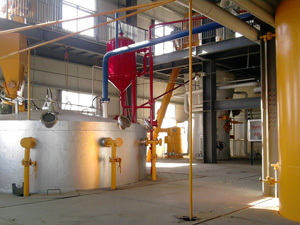 Established in 1990, Henan Kingman Mechanical & Electrical Complete Plant Co., Ltd. (KMEC) deals principally in the manufacture and export of complete oil mill plants and related oil mill machinery, in the import and export of various mechanical products, and in engaging in external economic and technical cooperation. 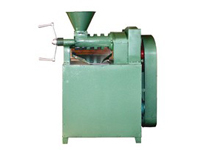 The Model YZS-68 coconut oil extraction machinery is one of the hot products of our oil presses. This oil extraction machinery can be also applied to extract various vegetable oil from different types of oil bearing materials like soya beans, peanuts, sunflower seed, rapeseeds, seasame seeds, palm kernel, cotton seed, tea seeds, tung tree seeds, coconut etc. Model YZS-68 small coconut oil machine has compact stracture, has less noisy but higher oilput rate. It is easy to use and move and really energy saving. It is very convenient for home using. It have only 5.5kw power consumption. 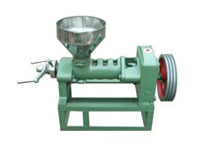 Related Equipment: Coconut Shell Briquette Machine which can turn cocnut shell into fuel briquettes. Coconut oil is an edible oil extracted from the kernel or meat of matured coconut harvested from the coconut palm (Cocos nucifera). Coconut oil is an important cooking medium in Southern parts of the country especially in Kerala State. Besides, the oil has varied industrial applications. It is used in the manufacture of toilet soaps, laundry soaps, surface active agents and detergents, hair tonics, cosmetics, etc. It is used throughout the country as a hair oil as it helps growth of the hair. Recently, a set of coconut oil refining machine was shipped to Cote d'Ivoire. Contact us today to get more information about our coconut oil extraction machinery. We are ready to give you the greatest service!